JOHN CHIARA (b. 1971, San Francisco, CA) earned a B.F.A. in photography from the University of Utah in Salt Lake City in 1995 and an M.F.A. in photography from the California College of the Arts in 2004. Chiara pushes the boundaries of the photographic medium through his choice of process and the mastery of its possibilities. His approach is distinguished by its incredible physicality and recalls the early days of the medium when artists dealt with heavy, awkward equipment and endured long exposure and development times. Chiara’s giant cameras, which he designed and built himself, are transported to locations on a flatbed trailer to produce one-of-a-kind large-scale prints. The design of the cameras, which is much like daguerreotype box cameras, allows the artist to simultaneously shoot and perform his darkroom work while images are recorded directly onto oversized photosensitive paper (not film). This process, which Chiara first discovered as a student in 1999, invites anomalies in his final prints and adds to the mystery and lyricism of his pictures. In 2011, the Pilara Foundation in San Francisco commissioned Chiara's Bridge Project which was included in the Pier 24 Photography group exhibition, HERE. John photographed extensively in Los Angeles in 2011, and, in 2012, Chiara was one of 13 international artists’ whose work was included in the exhibition Crown Point Press at Fifty at the de Young, Fine Arts Museums of San Francisco. The Pilara Foundation again commissioned Chiara in 2013, for the group exhibition A Sense of Place at Pier 24 Photography. 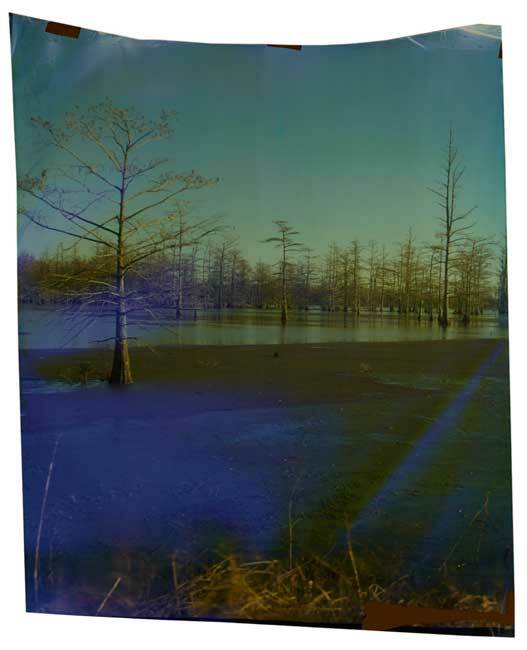 Chiara spent much of 2013 photographing the surrounds of Mississippi, culminating in an exhibition in the Delta town of Clarksdale as well as a book entitled, Coahoma County, Mississippi (ROSEGALLERY, 2015). The artist is featured in Light, Paper, Process: Reinventing Photography, on view at the Getty Museum until 6 September 2015. John Chiara lives and works in San Francisco.